Your private driver will pick you up at the ship to begin your Amalfi Coast Shore Excursion, a journey to one of the world’s most famous coasts: Amalfi. A UNESCO World Heritage site since 1997, the ambience of the Amalfi Coast marries both artistic and natural beauty. 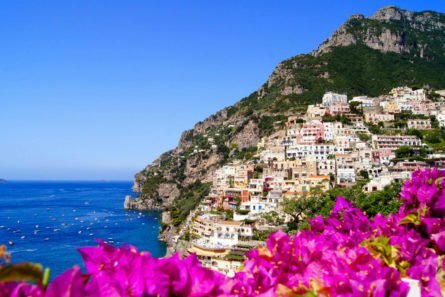 Decide to visit Sorrento, one of coast’s larger towns and home to the delicious limoncello, or Positano, with its vertical architecture built into a steep cliff overlooking a magnificent emerald sea. Also consider the coast’s eponymous town, Amalfi, once a thriving Marine Republic, powerful and prosperous, now a bustling, holiday resort. And don’t forget about Ravello, nestled on a mountaintop eleven hundred feet above the sea. Stroll through this incomparable city with its splendid gardens, magical churches and the most glorious panoramas in Europe. End the day with a final drive along the stunning coastline, back to your ship.